Nigeria Prisons Service (NPS), has confirmed that two prisoners did escape from the Kuje Medium Security Prison but that there was no jailbreak and that Charles Okah did not escape from lawful custody. The NPS spokesman, DCP Francis Enobore, in a statement on Saturday said that Okah “is still in the prison, safe and sound,” explaining that two inmates escaped from the prison at about 7.30pm on Friday, though not through jail break. He said that the inmates in question were awaiting trial for culpable homicide and had no relationship with Charles Okah as being speculated. “Efforts are on in collaboration with sister security agencies and relevant bodies to recapture the fleeing prisoners. 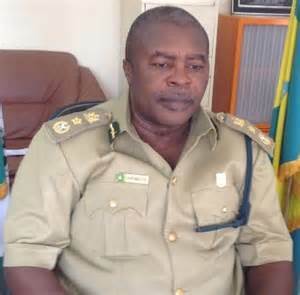 The Controller General of Prisons, apart from immediately dispatching a team to the Prison to carry out preliminary investigation, was also personally on ground to have a firsthand information about the incident.